Joy W. Stieglitz | Vandewalle & Associates, Inc.
Joy Stieglitz is a principal planner with over twenty years of experience creating and implementing successful community planning initiatives and urban redevelopment projects. As a senior project manager, Joy is experienced in urban revitalization, economic development planning, comprehensive and strategic planning, tax increment financing, facilitation of public-private partnerships, and public and private sector project resource procurement. Joy and her team have procured over $40 million in state and federal funding for clients to rebuild challenged neighborhoods and redevelop contaminated properties. From 1995-2010, Joy cultivated a specialization in brownfields redevelopment and led the company’s brownfield redevelopment division. In that capacity, she provided a broad range of brownfields redevelopment planning and implementation services, including site inventory and opportunity analysis, coordinated redevelopment and remedial action planning, management and oversight of environmental consultant’s assessment activities, project budgets, and regulatory compliance reporting as well as development and implementation of ownership indemnification, land transfer, property marketing, and developer and business recruitment strategies. During that time, Joy also served on the Governor-appointed Wisconsin Brownfield Study Group, was a speaker at state and federal brownfield conferences and planning workshops, and provided brownfield redevelopment expert witness testimony. Currently, and as a part time employee for the past five years, Joy serves on select projects for the company, utilizing her expertise in strategic resource procurement and grant writing to leverage critical resources to ensure a variety of projects’ successful implementation. 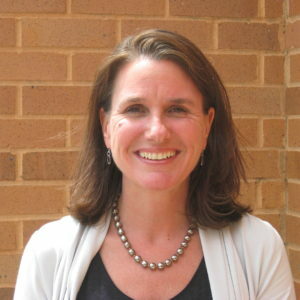 During this time Joy has also focused her passion, cultivated her interest, gained experience, and honed her skills in social and racial justice, youth development, and education planning by attending conferences and trainings and volunteering her time with Madison Metropolitan School District, Mentoring Positives, and First Unitarian Society. This transition is allowing her to focus more specifically on projects that are committed to the advancement of social and racial equity and equal educational, economic and social opportunities for all Wisconsin residents. You can email Joy here.